This Friday a previously unpublished poem from Morgan Bach. The first time my father died, I was four. and the lights are chandeliers, and somebody shoots him. Money flies around the room and he falls to his knees. before he falls flat on it. and my father is in the tropics. It’s World War Two, and his face is wet and dirty. and he falls to his knees, and then down. an old man who has had a long and busy life, inventing. before he was taken out. It could have been a shot in the back. and takes refuge in a ruin. and am tempted to spoil the illusion. and on his fifth appearance has his throat cut. my father was buried alive last night. This death I missed. She says he begged, near the end. and my workmates say did you feel that? I call my sister, and luck connects us. Her voice shakes, she’s driving to get her boys. through to voicemail. Which means it’s ringing. I send a message – we’re not to overload the lines. There is nothing, and nothing to do. on the photos of crumbling buildings coming through. in the bottom of the old stone building. Why aren’t they showing it? Is it good they aren’t showing it? next to his name – online. Three and a half hours pass. of his entrances and exits. 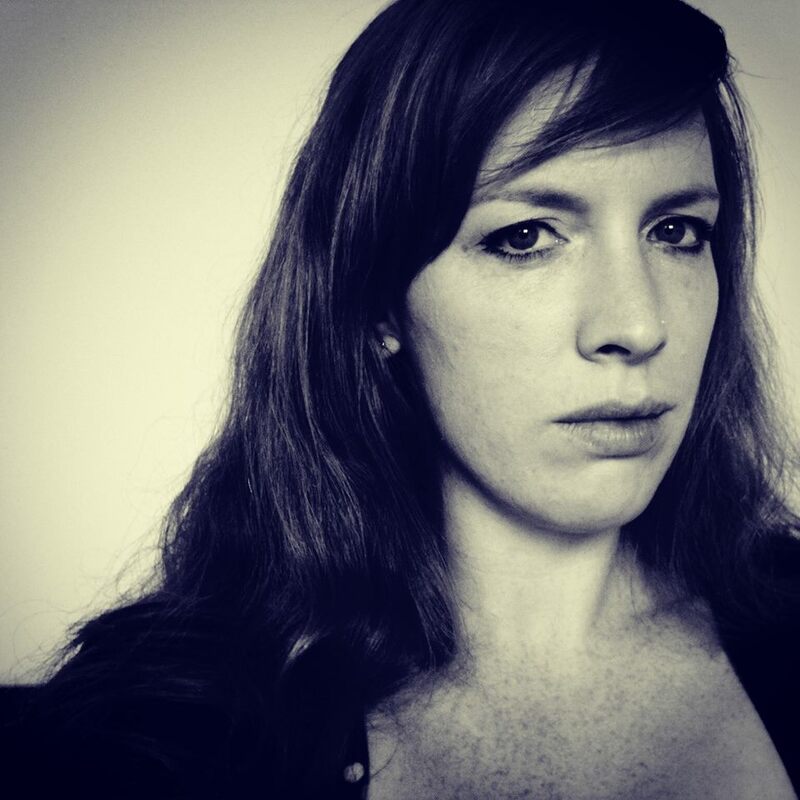 Morgan lives on Wellington’s south coast, and in 2013 she undertook the MA in Creative Writing at the IIML. She was the recipient of the Biggs Family Prize in Poetry, co-editor of Turbine 2013, and has work published or forthcoming in Sport, Landfall, and Hue & Cry. Author’s note: This poem is about as factual and autobiographical a poem as it gets (my father, John Bach, is an actor). It was born out of a conversation I had in which I found myself saying ‘Oh I’ve seen my father die tons of times…’ and my realisation that this was an uncommon experience. Recounting this uncommon and strange element of my growing up led me to a point where real life interjected with an experience far too many of us have had in recent years. But, like it so often does in the movies (although, not for my father’s characters – as I’ve illustrated) this story turned out to have a happy, lucky ending. Note from Paula: When I first read this glorious poem I had no idea of its genesis (as is the case when you read most poems), but what struck me as I read, was the way we carry numerous deaths with us (our own, our loved ones). Little pocket narratives that catch us by surprise and haunt or unsettle us. Morgan writes an assured line, where the narrating voice, with its steady rhythm, builds a mysterious momentum. Surprising. It becomes a list poem in its structure— each paternal death linked to a particular age, and death becomes a way of framing the narrator’s arc from child to young woman. What I loved, beyond the tantalising enigma, is the way at twenty-eight, the poem shifts gear. There is an electric current that strikes you as you read, as you realise the threat of death has moved from cinematic frame or theatrical stage to the threat of death in real life. The earthquake moment that now resonates so profoundly for so many. The simple lines (particularly ‘There is nothing, nothing to do’) catch you—and the way ‘his exits and entrances’ lead you back to the start. Morgan’s poem demonstrates so beautifully the way narrative drive becomes increasingly potent when matched with poetic economy and perfect line breaks. The end result, a poem that rewards at the level of language and then hooks at the level of emotional engagement—you enter the prolonged panic as if there, and then welcome the relief. This entry was posted in Poetry and tagged Morgan Bach, NZ poem, NZ poet, POem Friday on May 16, 2014 by Paula Green.